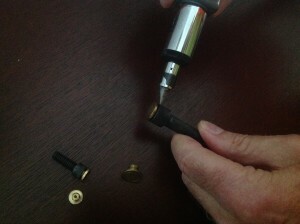 RAPid Caps are easy to press into the socket. Designed to make it easy to pop the cap off with a simple screw driver. Plan for those times when changes need to be made to your weld fixture or machine tool. Keep your fasteners weld-spatter and dirt free with RAPid Caps. 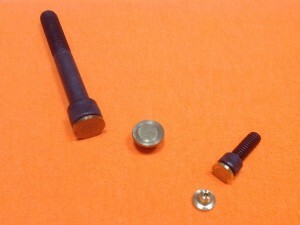 Simply press into the sockets of Socket Head Cap Screws. Part numbers are EASY! RC00-500 is for 1/2″ screw. RC00-M6 is for an M6 screw. Request a Quote. Contact your RAPid Tooling Components Distributor.